A blog about child sponsorship and helping "the least of these"
Our group with Michael’s family. After an emotional meeting and goodbye with my newest sponsored child, Marlon, our group gathered outside to go on a home visit. A door to one of the homes. This would be our second home visit that week, and it’s a unique experience, giving us sponsors the opportunity to see the home of a child attending the project we had just toured. It gives a better understanding of the child’s home environment and of the family’s needs. And once again, we were able to give the family a huge bag of groceries provided by Compassion. As I waited to board the bus for the short drive to the home, a light-eyed boy in a purple shirt came up and hugged me. I told him my name, and used my shaky Spanish to find out his… Michael. I said, “Miguel?” thinking he was giving me the English version. And he said, “No, es Michael.” Venturing a little more in Spanish, I was able to find out it was his home we would be visiting that day, and that his sister also attends the project. We arrived at the home to find that it was a cluster of small buildings on one lot, surrounded by a fence pieced together like a puzzle of sheets of metal and wood. There were 16 family members living there, including Michael’s parents and four siblings, his grandmother, and some aunts, uncles and cousins, and it looked like there were three separate small homes. Chickens pecked at the dirt near us. Michael’s grandmother and aunt sat in rocking chairs outside, and we gathered around to visit with them and the rest of the family. The grandmother told us she had recently come home from the hospital, where she had been admitted for heart problems. In the mish-mash of tin roofs and patched-together homes, two things stood out to me. First, there was a definite love of God in this family. There were phrases spray-painted on the doors and walls inside the compound attesting to this, including one that said simply, “Dios” or “God” in English. An uncle sat outside throughout the visit, and seemed interested in discussing his faith. He wanted to know if any of us were pastors, and at the end of our visit, he led a beautiful prayer for us. Michael’s grandmother talked about their church, and told us that Michael’s father had recently begun attending with the family. She seemed pleased with this new development, and we were all happy to hear it. He seemed a little embarrassed by the attention. She shared with us that Michael’s sister has been baptized, and they are hoping Michael will be baptized soon. Then she asked each of us to tell her the names of our churches. The other thing that stood out was a definite love of family. This group clearly cared for and respected each other. The teens were quick to bring out the chairs to seat their grandmother and aunt at the start of our visit, and they hovered around both ladies while we were there. Michael held his baby sister for quite a while as we all talked. After prayers and hugs, we gave Michael’s family the bag of groceries and climbed on the bus to drive back to the project. I had a good feeling that with faith, love and Compassion’s help, this family is richer than many. Carlos translates the conversation as we visit. Michael, his older sister and his father. This entry was posted in Compassion International, Nicaragua and tagged Compassion International, home visit, Nicaragua, sponsor. Happy Thanksgiving to you and yours. This post today was absolutely beautiful and I am grateful to be able to read it and share with my family. I sponsor two children myself and feel it is a blessing and a calling. Thank you for sharing your story. God bless! Happy Thanksgiving to you as well! Thank you for your kind words. I, too, have been incredibly blessed by being a sponsor. Thank you so much for giving us these windows into lives in Nicaragua. It helps me have a context to put our kids’ letters into! I'm a homeschooling mom to six children, and a proponent of child sponsorship to lift children out of poverty. 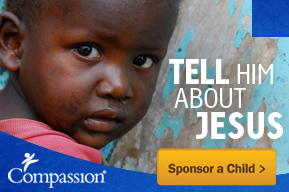 I am also an advocate for Compassion International and have visited my sponsor children in Nicaragua and Guatemala. Being a sponsor has been an exciting journey in my life, and I look forward to where it will lead in the future. In my free time, I enjoy reading, and often am reading several books at a time. I also like photography, genealogy and spending time with my family.